At the sight of the floor lamp Silvia medium, there is one thing that catches attention first of all: the organic structure of the lampshade which comprises a number of leaf-shaped plastic elements. 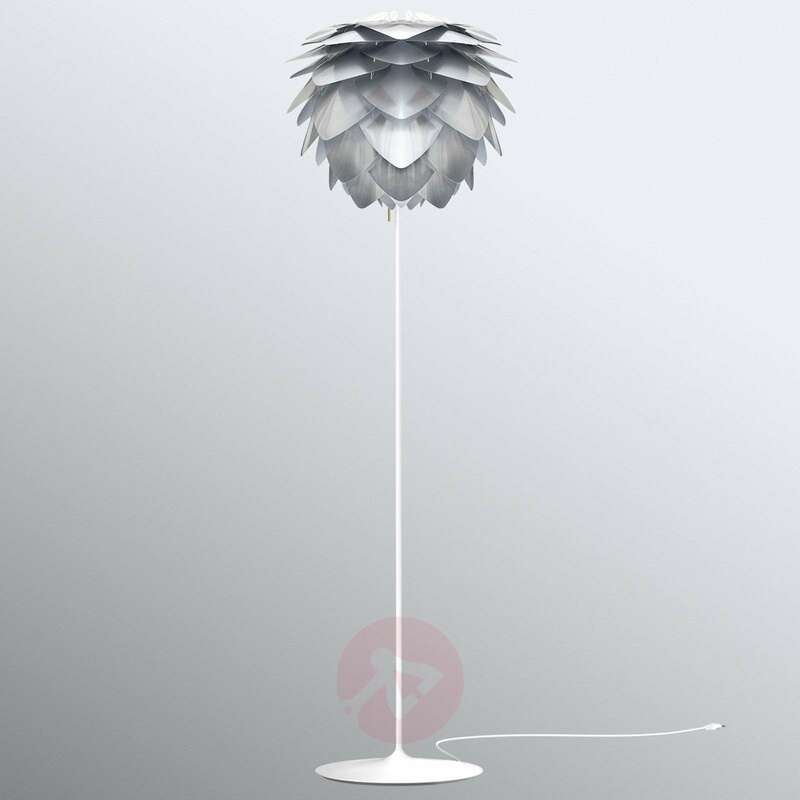 The triangular shape of the individual parts also means that the emitted light not only finds its way through the openings at the top and bottom of the lampshade, but also shines through the gaps between the elements which look like leaves. The result is a fascinating lighting mood, which can make the seating area in a living room, for example, very cosy. Equipped with a decorative brass switch. Whilst the steel-coloured lampshade was designed by the Vita design team, the designer Anders Klem from Denmark is responsible for the design of the frame Champagne, which is in a neutral white colour. After graduating from the Royal Danish Academy of Fine Arts/Design School in 2013, he discovered his passion for designing modern lights. The main interest of the Danish lighting company UMAGE is to create products in a modern, Scandinavian design and, in the process, to preserve the Nordic beauty and high quality of this design style through careful craftsmanship.